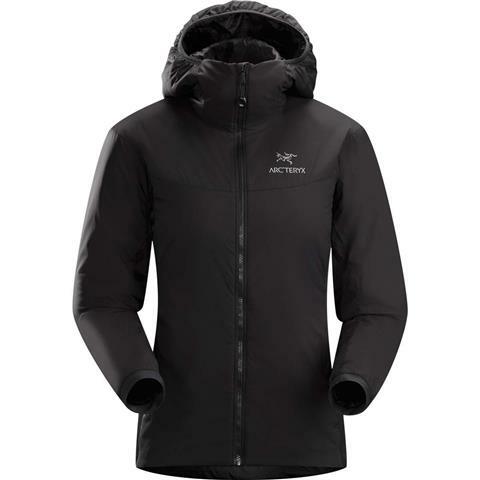 The Arc’teryx Atom LT Hoody for women is designed to provide warmth and protection against the elements no matter what your day holds. From hitting the trails to heading off to work, this trim hybrid hoody features an active-use insulation layer inside a light taffeta shell. That means it has all the warmth and comfort of your favorite sleeping bag while still giving you free range of movement. The outer taffeta fabric is light and airy, acting as a windshield against gusty days. Plus, it’s treated with a water-resistant finish to protect against light precipitation. If you’re working hard and breaking a sweat, the Atom LT’s Polartec Power Stretch and Hardface technology help regulate temperature while allowing for breathability. When you need to pack light, you can pack this highly compressible jacket into its own pocket. Then, when you’re ready to wear it, just shake it out to its original form. 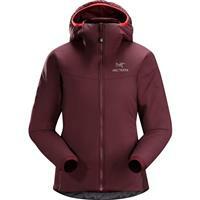 With several color options, you’ll want to purchase this versatile hoody in every hue. 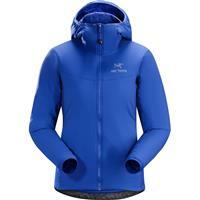 The Arcteryx Atom jacket is the perfect coat for on and off the mountain. Perfect as a layering piece while on the mountain and warm enough as a regular jacket on cold days. You will not be disappointed buying this jacket. This jacket is a real workhorse either worn alone or layered!! A wardrobe staple for anyone who spends time enjoying the great outdoors!